The Plant Library is a full-service plant rental company. 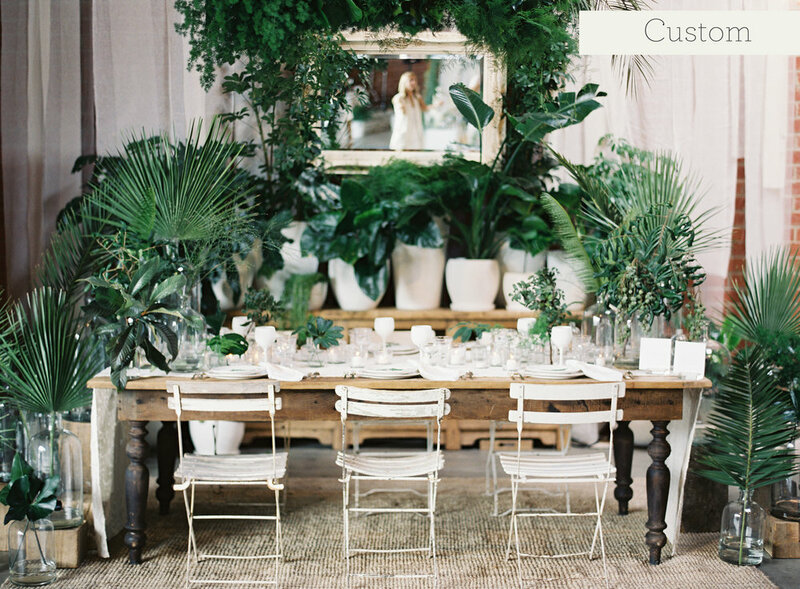 Our extensive selection of plant and vessel collections give you a variety of options for your event. You can mix and match from our library to put together the perfect look. Plant collections include Native, Evergreen and Desert. Vessel options include White Pottery, Grey Pottery, Terra Cotta, and Baskets. A series of 3-9 pieces to make a centerpiece or tabletop display. Different options available pending table size. A few 5/6’ plants, 2” plants, and tabletop pieces. Approximately 5-7 plants. A great option for lounges, dance floors, and other event corners that need dressing. A series of potted trees and flora to fill a 10’ span. A plant divider helps define spaces or corridors while making a statement in a grand way. 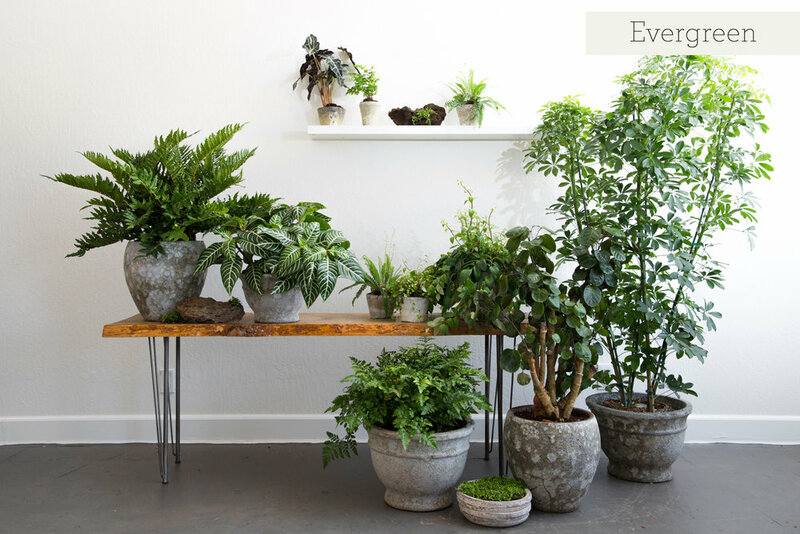 A custom curated set of plants handpicked to fit perfectly into your space. We work with you to select pieces that will match the aesthetic of your home, office or event.